For my money, Cesar Azpilicueta and N’Golo Kante are Chelsea’s two leading talents after Eden Hazard. Perhaps Kante’s credentials are obvious; the unrelenting dynamo of Leicester City’s famous title win, the first player to lift the Premier League crown with separate clubs in subsequent seasons, a 2018 World Cup victor with France. 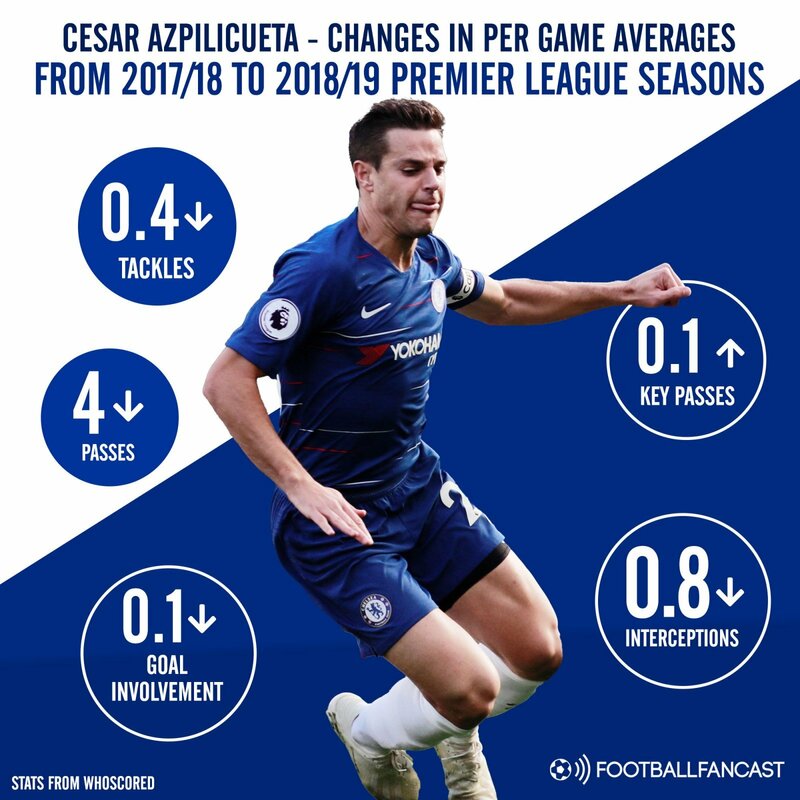 But Azpilicueta too has shown himself to be a unique proposition. Having impressed as a right-back, a left-back, a centre-back and even a wing-back at times during his lengthy spell at Stamford Bridge, the Spaniard has demonstrated a defensive nous so impeccable that it can be applied to practically any role across the backline. There aren’t too many defenders, worldwide, who can claim to be so effective in such a variety of capacities. Whenever a new manager takes the reins at a new club though, and especially when their philosophy is so far removed from their predecessor’s as Maurizio Sarri’s is from Antonio Conte’s, casualties are inevitable. Sometimes they’re small and largely inconsequential; in other instances they can become seismic and painful. Perhaps in this case casualty is the wrong terminology, because both players are amongst a cohort of just six to have played in every minute of Chelsea’s Premier League campaign so far. But amid this new era of flowing Sarri-ball, neither seem quite as significant, prevalent or instrumental as they did during Conte’s time at the helm. Chelsea’s midfield is now so dominant of possession that Kante, pushed a little further forward to accommodate Jorginho at the base of the engine room, really doesn’t have all that much play-breaking to do. Instead, he’s being given the ball in advantageous areas but upon realising he’s surrounded by more technically-gifted and offensively-minded team-mates, the Frenchman more often than not simply shifts it sideways. 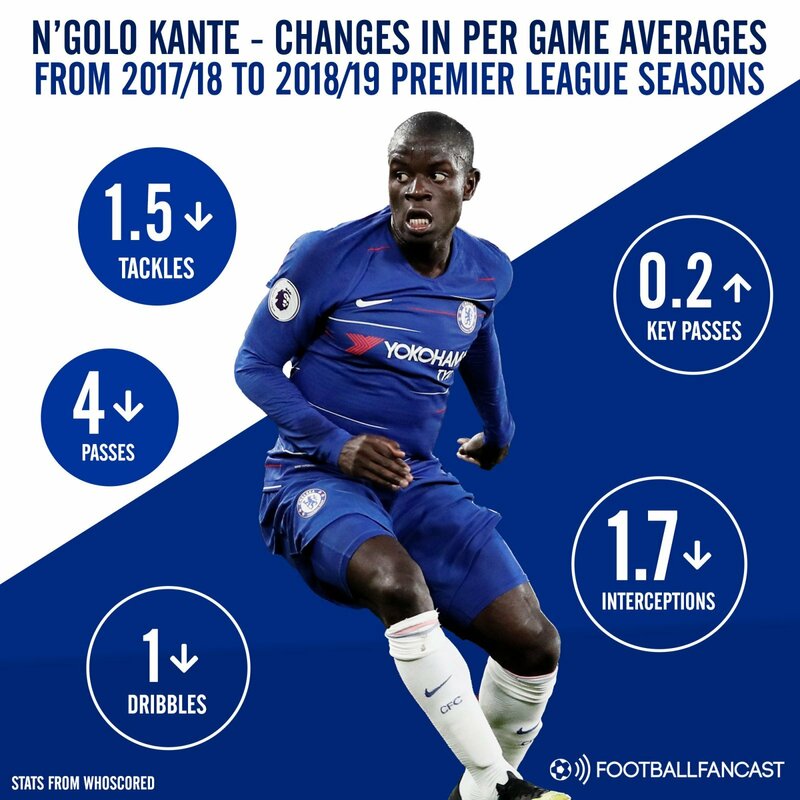 With and without possession, Kante’s influence has inevitably rescinded. It’s a similar case with Azpilicueta, despite returning to what on paper remains his most natural role. But the Spaniard’s arrival at Chelsea slightly preceded the generation of attacking full-backs that now litter every layer of the Premier League – he was at best a balanced, all-rounder of a No.2 and now 29 years of age, he lacks the natural dynamism you’d expect of a marauding defensive flanker playing under such an attacking manager. That’s not to say Azpilicueta and Kante no longer have important roles to play at Chelsea. They give balance to an incredibly offensive side, and that will likely become more prevalent in the big games. With Tottenham and Manchester City on the horizon, there will certainly be more chances to prove they’re still integral to Chelsea’s successes. Likewise, not every player should be held to the same standard, and while Chelsea as a collective have adapted to Sarri’s style of play remarkably quickly, perhaps it will take two of the most defensive members of the starting XI the new Blues boss inherited from Conte a little longer to make the same jump. They are, after all, being told to focus on completely different areas of their game from the last two seasons. But it would be foolish to ignore the natural dissonance here. Kante’s at his best when turning over possession, winning the ball back before bursting forward with it. In this new, more advanced midfield role though, he’s making less tackles and interceptions and completing far less dribbles than he did per-game last season. Azpilicueta too, perhaps becoming a victim of how he’s been asked to modify his game previously, just isn’t quite a modern full-back and while the wide centre-back berth seemed to only highlight his strengths, returning to his traditional position. Despite their undoubted talent, it begs the question of whether there are already more suitable alternatives within Chelsea’s ranks. If Kante’s bite has been reduced to a nibble, then why not play Mateo Kovacic alongside Jorginho and Ross Barkley, mimicking the trade-off between tenacity and technique that Manchester City used to lift the title last season. Likewise, would the Blues be better off with someone like Davide Zappacosta or even Callum Hudson-Odoi bombing down the right flank on the overlap, echoing what Marcos Alonso brings on the other side, rather than the sturdier and seemingly less eventful Azpilicueta? When you’re talking about players who would naturally command massive price-tags, tough decisions at some point inevitably need to be made. Kante’s sale would allow Sarri to sign a better-suited midfielder and leave plenty of cash in reserve and through his versatility, Azpilicueta similarly would attract interest from most of Europe’s leading clubs. 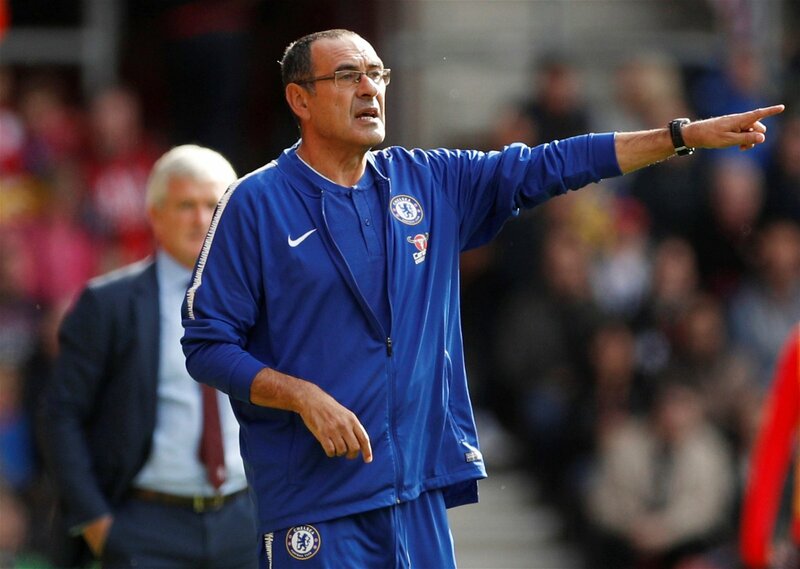 Once again, it’s not a question of their ability, rather their suitability to the direction Sarri hopes to take Chelsea in. Perhaps not in January, perhaps not even next summer, but unless Azpilicueta and Kante can adapt they may be worth more as transfer assets than players while Sarri is still at the helm.